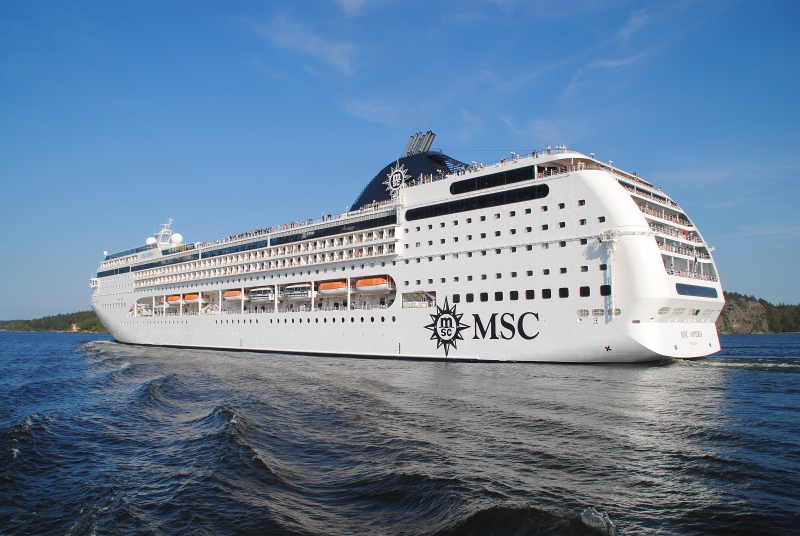 I am now 24-hours away from boarding MSC Cruises, MSC Opera for what I am sure will be a wonderful European cruise. I am excited to this time have the chance to REALLY savour that Italian flavour. My 3-nights on MSC Magnifica just wasn’t enough. Usually I would travel down to Southampton via coach on the day of the cruise but because there is no direct coach link service operating for MSC Cruises until 2014 my only choice was rail. I actually left home yesterday and I am currently on the Isle of Wight with friends. I will get the RedJet back across to the mainland in the morning ready to join MSC Opera. It’s my first visit to the Isle of Wight and so far I am very much enjoying it. I love the little town, everything is so small! The shops, pubs, restaurants, they are all tiny. I’m sure I passed one restaurant yesterday that had just 5 tables in it for diners! There are several cruise ships in the port of Southampton today and tomorrow, I was hoping to perch myself somewhere and watch them all leave this evening, I guess we shall wait and see. I would love to live down here and be able to watch these beauties come and go literally on a daily basis, I may forever be living in a tent somewhere with nothing more than a blanket and camera. Until tomorrow…………happy weekend everyone and to those of you heading off on cruises, bon voyage!